Nothing can instantly warm-up a space like a fireplace and solid wood. 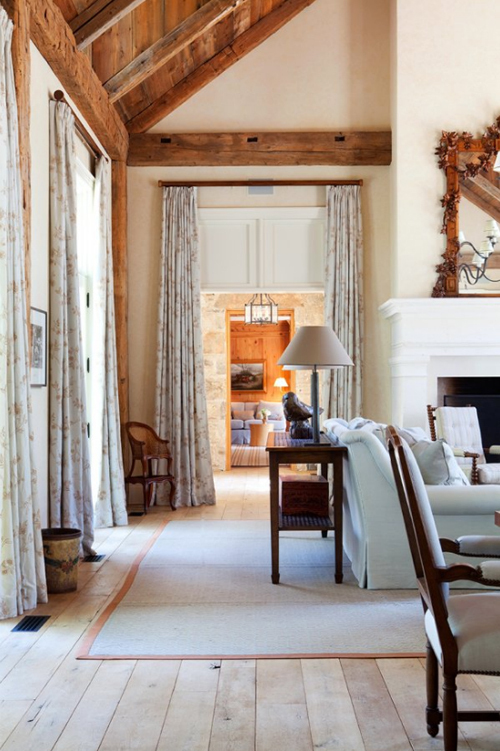 I love these high ceilings' wooden beams and the big windows. Just bring me my hot chocolate and let me spend the afternoon there.